2020 Worlds awarded to Ireland! The 2020 Fireball World Championships have been awarded to Howth Yacht Club in Dublin, Ireland. The club, established in 1895, is one of the largest yacht clubs in both Ireland and the UK offering exceptional facilities for dinghy and keelboat sailors. Howth Yacht Club has the depth of experience required to provide consistently high standards of race management at club, national and international level. The club has a resident national and international race management team along with dedicated committee boats and a professionally maintained racing infrastructure. The race area is exceptional with a large expanse of open water, free from tidal anomalies and with flat water from the prevailing westerly winds crossing a low flat plain to the west. For the Fireball Worlds a highly experienced regatta team has been assembled led by event chairperson Judith Malcolm and Principal Race Officer David Lovegrove, one of Ireland’s most experienced International Race Officers and a former Fireball sailor himself. The venue is located on a peninsula some 18km from Dublin city centre in a high amenity area of exceptional natural beauty and is the second most popular tourist location in the Dublin area. The clubhouse is only 20mins drive from Dublin’s international airport, adjacent to the coastal DART suburban train line to Dublin City and 30 mins from the ferry terminals at Dublin Port. The main event takes place from 9th-14th August 2020 with a short warm-up event expected in advance. Howth Yacht Club has previously hosted the Etchells, J24, Optimist and Mirror world championships, many national and regional Laser Regattas and IRC championships and are delighted to have been chosen for the Fireball Worlds in 2020. The Fireball class is very popular in the UK and Ireland across all ages and has a large international following. The event is expected to attract teams from the UK, France, Switzerland, Italy, the Czech republic, Slovenia, Canada, the US and Australia. Speaking at the announcement HYC Commodore Joe McPeake said he was ‘looking forward to providing a traditional Irish welcome to the Fireball crews and their families and providing them with an unforgettable experience afloat and ashore’. The event will be the first International Fireball event in Ireland since 2011 which saw some 60 boats compete in exciting conditions in Sligo. Ireland has previously hosted several Fireball World and European championships including a Europeans in Skerries in 2000 and a Worlds at the National Yacht Club in Dun Laoghaire in 1995 which saw local sailors John Lavery and David O’Brien carry away the trophy. 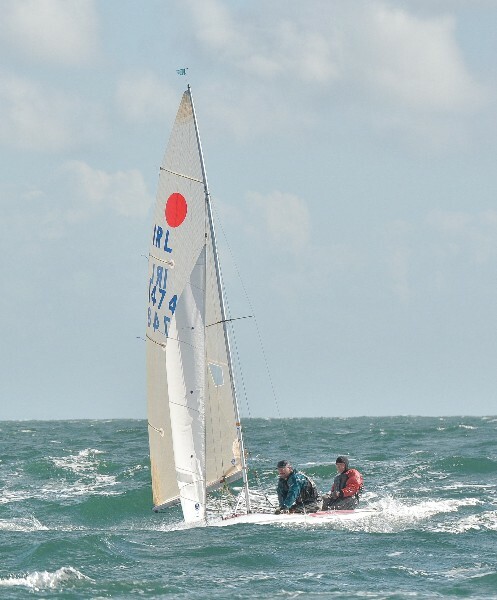 The Irish Fireball Association hopes that the forthcoming worlds event will attract a new generation of sailors into one of the most exciting yet stable racing dinghies in the country. The local association is keen to see as many Irish boats as possible participate in the 2020 worlds and is embarking on a campaign to encourage young teams to take on the Fireball challenge. In recent weeks at least two competitive Winder Fireballs changed hands in advance of the formal announcement for relatively modest sums. The good news for any sailors interested in campaigning towards to 2020 worlds is that competitive race-ready “white” Winder fireballs can be bought at the moment in Ireland and the UK from c2,500 – 6,000 euros.